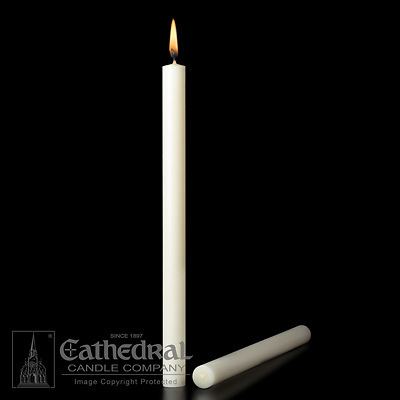 Cathedral 51% Beeswax Altar Candles - 1" x 19"
51% Plain end beeswax candles sold in boxes of 12. Dimensions: 1" x 19". To determine proper size candle needed click and print out the size chart found under the image.